Wards Auto recently reported that Honda will end production of the current generation Ridgeline compact pickup in September of 2012. It is expected that a new model of the compact pickup will be introduced in 2016. Honda would not confirm the anticipated two-year hiatus but did indicate that the Ridgeline is an important part of the Honda vehicle lineup. The Honda Ridgeline was originally introduced to the U.S. marketplace in 2005. 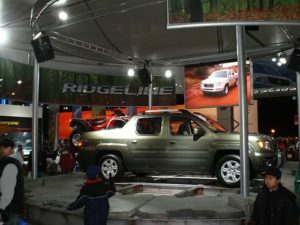 The Honda Ridgeline pickup was introduced to the public as a sports utility truck (Sut) in 2005. The new Ridgeline featured an in-bed storage box. The storage box and other Ridgeline innovations were soon co-opted by the competition. 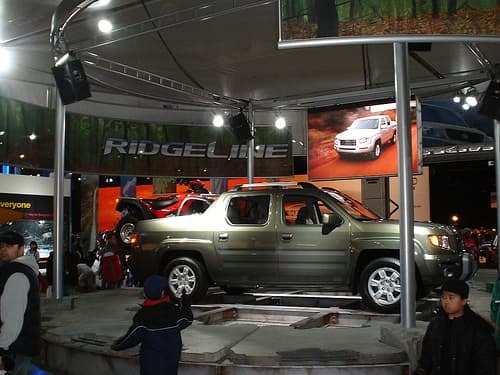 It was expected that the current generation Ridgeline pickup would continue to be sold in the U.S. until 2016, but disappointing sales figures may have prompted a change in plans. It appears that the Ridgeline pickup will disappear from Honda showrooms for nearly two years. Honda gave the 2009 Ridgline pickup a facelift after dropping the RTX model in 2008. The 2012 Ridgeline featured a Sport model, and a backup camera became standard equipment in 2013. Otherwise, there haven’t been many changes. Rumors about the ultimate fate of the Honda Ridgeline have been circulating for years. The 350 liter V-6 Ridgeline simply lacks the muscle to compete with V-8 name brand pickups. Although Honda officials declined to confirm the rumored upgrade of the Ridgeline pickup, all signs indicate that a next generation Ridgline will be introduced in 2016. The company is pleased with recent sales figures, and it appears that the Ridgline sports utility truck has a strong future in the United States. Pickup truck sales have declined dramatically in recent years. Auto manufacturers are hopeful that the introduction of new compact pickup models will help reverse the trend.